Undeniably, Avengers: Infinity War was about Thanos rather than the titular team of superheroes. His quest to attain the Infinity Stones is one of tremendous will and personal sacrifice, and no sacrifice was greater than his relationship with adopted daughter, Gamora. Without giving too much away in case one or two of you haven't seen the film, let's just say whatever was between them gets broken pretty badly by the time the movie's over. With the film out now on digital, another deleted scene has been released. 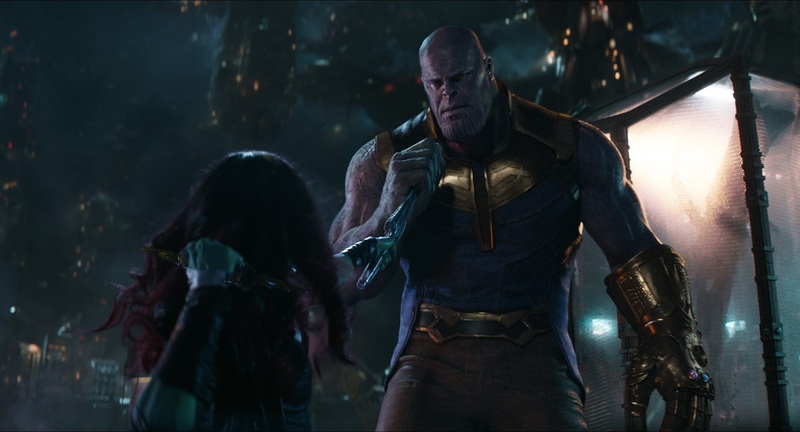 This one focuses on Thanos and Gamora, and it's an extension of what could be described as their pivotal interaction. Thanos uses the power of the Reality stone to flashback to an earlier, happier time when she wasn't such a do-gooder. It's a form of emotional torture he uses against his daughter, and it's just a precursor to more physical abuses that come later. I can see why Joe and Anthony Russo decided to cut this scene out. While it fills in the edges of the movie's central relationship well enough, it also drags and doesn't add anything new to the table. What happens later should resonate the same way whether you have this information or not. Avengers: Infinity War is available now on digital, but hits Bluray on August 14th.